In 2012, only 30% of companies asked by analyst leadership group Gartner expected to compete for business primarily on the basis of delivering ‘superior customer experience’. When the analysts went back last year, they found that number had risen to 90%. Clearly, delivering great CX is an important priority for businesses – and, indeed, for some far-sighted public sector and non-profit organisations too. But how is that translating to day-to-day practice? Is it changing how brands are delivering customer experience in the current British marketplace? We have some real clues, thanks to a recent market analysis exercise we carried out in partnership with the UK Contact Centre Forum. Our survey base was extensive, covering industries stretching from accountancy services to building management systems, social housing and more. In the retail sector we got answers back from professionals in retail energy, online retail, financial products, cruise holidays and car rental, for example. So what did we find? We know that mapping the customer journey across many touch-points is crucial in helping to identify opportunities to improve the customer experience, as it enables brands to visualise how customers see things and pulls out blockages that may hinder their enjoyment of the product or service. We found that organisations are actively mapping their customer journeys and using data to optimise the customer experience. For example, 56% of respondents said they do map the customer journey (a further 20% said that it was a ‘work in progress’). Only 24% said that they had yet to start. Personalisation of the customer experience is also high on the contact centre agenda (where the majority of CX is delivered). We found huge evidence of very active work around tailored incentives such as special offers, preferential upgrade prices, loyalty bonuses and more to enhance customer experience. 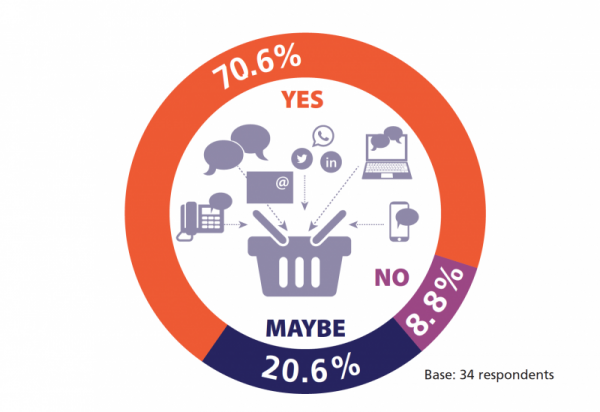 Plus, we asked if brands were able to deliver personalised communications to improve customer experiences. The answer: yes, with a very high 69% confirming they do offer personalisation, while a further 21% offer limited forms of it already. Proactive Service is about the ability to answer customer questions before they even ask them, and it’s going to be a big factor if organisations are serious about trying to meet customer expectations. How is that proactive work being carried out? Even in our digital age, the telephone is the biggest method being employed, and the most common method for proactive by 60% of organisations. 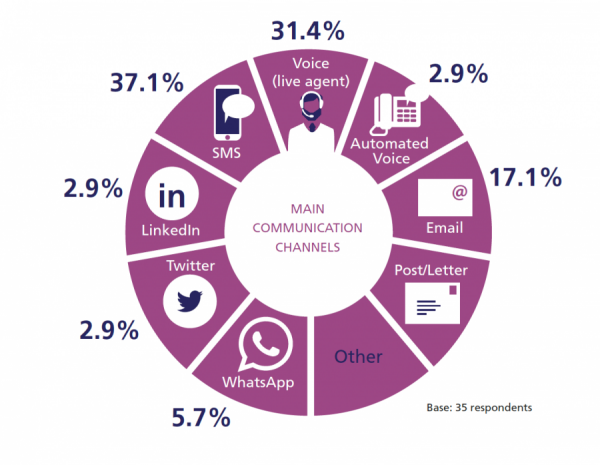 This is followed by email (26%), post/letter (8%) and SMS (6%). In non-proactive outreach, phone scores even higher, at 75%, and email, 18%. SMS came out as a compelling communications channel in our research. Over half of respondents (51%) use text to connect with brand followers, while 72% of respondents said that SMS was either ‘effective’ or ‘very effective’ when used for Proactive Service. 11.9% said that SMS actually produces the best results for them. Interestingly, the results show that 53% of people that don’t currently use SMS thought that, if they did, it would be ‘Effective’ or ‘Very Effective’. Meanwhile, a very high 71% told us they are convinced SMS technology would mean less in-bound calls for their teams. While agents can only handle one call at a time, they can take care of four Twitter or SMS contacts and five LinkedIn or WhatsApp messages simultaneously, after all. Finally, 19% say that they have used Automated Voice, with 58% reporting it to be ‘Effective’ in achieving what they wanted, while 75% say that response rates after its introduction are getting ‘Better’ or ‘About the Same’. We also found that the rise of the omnichannel has seen contact centre teams being empowered with increasing access to customer conversations across many media: nearly 56% of our respondents said they can give a team member immediate access to previous conversations with customers about the same issue and across all channels. This spotlights the fact that a large number of organisations have already deployed integrated information and contact routing systems. A further 18% said that they were working on developing these capabilities. Our research shows that organisations in the UK understand that proactive service is about taking care of the customer and also providing them with a personalised experience. At the same time, new technologies such as SMS, voice and social media are on the rise, as they help juggle enquiries and contribute to the proactive goal. A quality customer experience makes for happy customers – and so it seems CX really is getting taken seriously by business at last. Download the full 2017 UKCCF Proactive Customer Service survey report here. John is an Account Consultant at VoiceSage. 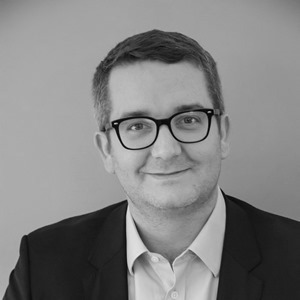 With over 10 years of experience in the messaging and communications industry, John’s worked for a variety of organisations from start-ups to large telcos across both the public and private sectors. Driven by a real passion for how communications can improve, augment, and drive business processes, John sees his role as being all about helping customers achieve lower costs and efficiencies and better experiences for the customer.